The European Union agreed on Friday to tighten regulation of Russia’s Nord Stream 2 pipeline. Representatives from EU nations endorsed a French-German proposal that will likely slow but not rule out the construction of the €8.39 billion undersea project. "Regarding the gas directive, we have reached an agreement and this was possible because Germany and France worked closely together," German Chancellor Angela Merkel said at a news conference. The Nord Stream 2 is a new undersea gas pipeline being built by Russia’s energy firm Gazprom and backed by five European energy companies. The 1,225km pipeline will run under the Baltic Sea from Russia to Germany. Its construction began in 2010 and is scheduled to be finalised by the end of this year. 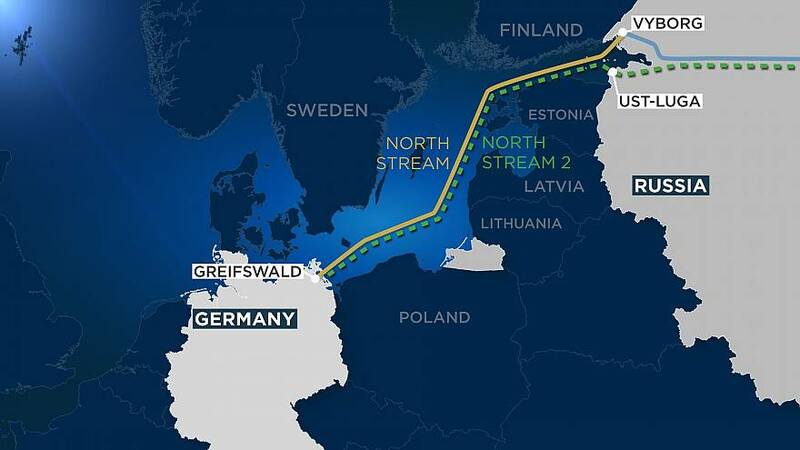 Why is the EU worried about Nord Stream 2? Russia is one of the EU’s largest suppliers of energy — it accounted for 39% of the bloc’s gas imports in 2013, ahead of Norway, which is part of the EU’s single market. The new pipeline would increase the amount of gas going under the Baltic to 55 billion cubic metres a year. Eastern European, Nordic, and Baltic countries think the pipeline would give too much control of the EU’s energy supply to Russia, while Northern Europe and Germany believe the economic benefits outweigh this issue. Critics are also worried that the pipeline could deliver a major blow to Ukraine's economy because, along with its TurkStream (a pipeline that runs from Russia to Turkey), Russia would be able to completely bypass Ukrainian lines, leaving Kyiv without gas transit fees. From across the Atlantic, US President Donald Trump's administration has been lobbying against the pipeline. What was the issue with the current proposal? EU members have been divided on the pipeline’s construction because some felt it should fall under the bloc's energy rules. The EU would like to extend its internal market laws to offshore gas pipelines before the construction of the Nord Stream 2 is finished. This would give it more control over how the new gas link is inaugurated. However, Germany feared it would make the line less practical to use. Why is Germany behind the project? German energy companies Uniper and Wintershall would have a lot to lose should the project be cancelled. German Chancellor Angela Merkel said the pipeline would not make Germany dependent on Russia and stressed that Ukraine must remain a transit country. Moscow said on Friday the pipeline would benefit all European countries. Kremlin spokesman Dmitry Peskov said Russia intended to keep working on the project and that the pipeline was the most secure way to deliver gas to Europe. The new proposal suggests bringing the pipeline under European regulations in exchange for giving Berlin lead authority on the project. It will have to meet EU energy rules, which includes non-discriminatory tariffs and transparent reporting of gas shipments. The rules also include ownership unbundling, which means that the pipes will not be directly owned by the gas supplier. Now that the European Commission's gas regulation proposal has gained enough support from member states, negotiations with the European Parliament to finalise the reform could begin as early as next week. The pipeline project will be on the line until the legislation passes. Delay in the construction of the pipeline would weaken Moscow's leverage in talks with Ukraine over a new gas transit deal this year and would create uncertainty for the Gazprom partners involved in the project.